Thanks to new advancements in ocular technology, a cataract diagnosis does not have to be bad news. If your eye doctor has told you that you have cataracts, keep reading to learn more about the condition and your treatment options. Before you can understand the various treatment options, it is important to learn what a cataract actually is. Some people think a cataract is a growth on the eye, but that is not true. It is actually a lens that has become cloudy, which disrupts one’s vision. Typically, cataracts develop with age, but they can also occur in younger patients or as a result of another issue like diabetes. If cataracts are negatively affecting the way you see, it might be time to look into eye surgery options. In this form of cataract surgery, the eye doctor removes the cloudy lens and replaces it with a monofocal IOL (intraocular lens). After the traditional surgery, most patients regain their ability to see distances. Some people still need glasses or other surgery procedures to restore their ability to see objects that are close or to get rid of astigmatism. Since this is a common treatment for cataracts, most insurance plans cover this kind of intraocular lens. Scientists have made many improvements to intraocular lenses in the last few decades, which means that patients now have the option of getting custom cataract surgery with a multifocal IOL or an astigmatic correcting IOL. A multifocal IOL prevents presbyopia, or trouble seeing up close after the surgery. Astigmatic correcting IOLs corrects both the cloudy lens and astigmatism to leave a patient with the best vision possible. 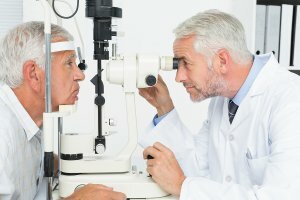 If you have cataracts, you should visit an ophthalmologist serving Chicago for a thorough eye exam that can help you choose the right surgery option for your needs. The eye doctor will ask you about your vision troubles and your expectations from the cataract surgery to direct you toward the best treatment option possible.